Posted by Mike Skinner moments ago via Twitter, this new track and video couldn’t be any more relevant to life for many Londoners this morning; on what has been a cold and snowy winters day. Too Numb will feature on the upcoming album ‘Cyberspace and Reds’. SME keep saying it, but man its good to have Mike back! Today is Trey Songz birthday. Now that’s out of the way; in more important news, Trey has today released his highly anticipated ‘#LEMMEHOLDATBEAT’ mixtape which contains 8 brand new tracks and 8 remixes. Today marks the release of Tinchy Stryder’s album ‘Third Strike’ along with the massive grime track Game Over which features, well, everyone (Devlin, Professor Green, Example, Chipmunk, Giggs, Tinie Tempah and Tinchy himself). To promote the release of this banger, Faith SFX has released a video of him beatboxing said song. Check it out below and afterwards go and support U.K music by buying the original! The super cool Cee-Lo, quite appropriately, takes to the beautiful streets of NYC for his new video for the track ‘Bright Lights Bigger City’. Further certifying his cool image, in the video he plays the role of a Mafia don dropping off a suitcase to a local club before a spot of trouble kicks off. The track is taken from his brand new album ‘The Lady Killer’ OUT NOW. 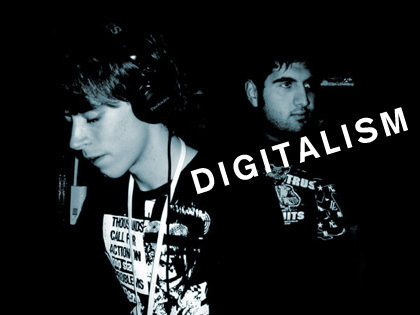 Here is the latest video from the electro duo Digitalism for their single ‘Blitz’. Their EP of the same name was released yesterday. The beautiful track first heard on Kanye’s new film ‘Runaway’ has premiered and not only does it feature Rihanna; it also features the rest of the music world! No joke, here’s the list: Rihanna, John Legend, The-Dream,Ryan Leslie, Tony Williams, Charlie Wilson, Elly Jackson, Alicia Keys, Fergie,Kid Cudi and Elton John. SME hope you remembered to breathe! This track is groundbreaking. SME were so excited to hear this in full when first hearing it on the soundtrack of the brilliant ‘Runaway’ and it definitely hasn’t disappointed. It just shows the respect that Kanye has within the industry; who else could pull in so many big names on 1 track? And only ‘Ye could orchestrate them so flawlessly.